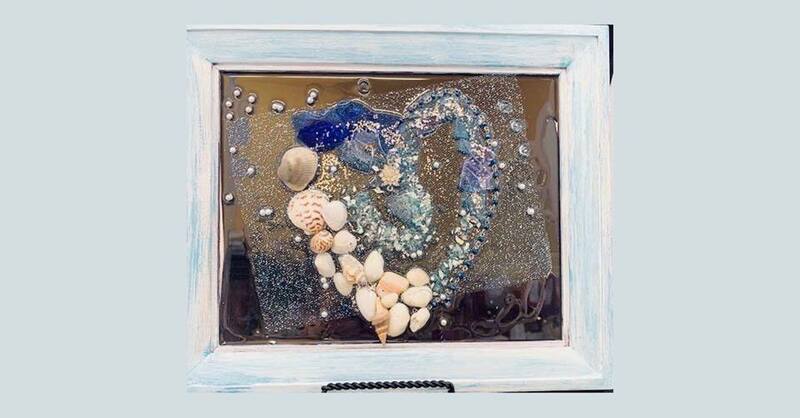 Join us as we create this beautiful heart design together in an 8x10 frame then encase it all in resin. We have a heart stencil for you to follow. We provide all materials except the large jewelry piece shown in picture. Please feel free to bring your own trinkets if you choose. This is your design and you may create however you choose. You will love this piece of art and enjoy it for years to come. You will be able to bring this home the same night.